Herbs are often administered in combination with therapeutic drugs, raising the potential of herb-drug interactions. 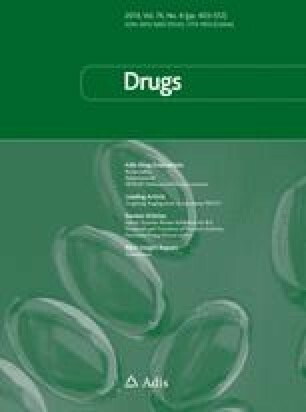 An extensive review of the literature identified reported herb-drug interactions with clinical significance, many of which are from case reports and limited clinical observations. Cases have been published reporting enhanced anticoagulation and bleeding when patients on long-term warfarin therapy also took Salvia miltiorrhiza (danshen). Allium sativum (garlic) decreased the area under the plasma concentration-time curve (AUC) and maximum plasma concentration of saquinavir, but not ritonavir and paracetamol (acetaminophen), in volunteers. A. sativum increased the clotting time and international normalised ratio of warfarin and caused hypoglycaemia when taken with chlorpropamide. Ginkgo biloba (ginkgo) caused bleeding when combined with warfarin or aspirin (acetylsalicylic acid), raised blood pressure when combined with a thiazide diuretic and even caused coma when combined with trazodone in patients. Panax ginseng (ginseng) reduced the blood concentrations of alcohol (ethanol) and warfarin, and induced mania when used concomitantly with phenelzine, but ginseng increased the efficacy of influenza vaccination. Scutellaria baicalensis (huangqin) ameliorated irinotecan-induced gastrointestinal toxicity in cancer patients. Piper methysticum (kava) increased the ‘off’ periods in patients with parkinsonism taking levodopa and induced a semicomatose state when given concomitantly with alprazolam. Kava enhanced the hypnotic effect of alcohol in mice, but this was not observed in humans. Silybum marianum (milk thistle) decreased the trough concentrations of indinavir in humans. Piperine from black (Piper nigrum Linn) and long (P. longum Linn) peppers increased the AUC of phenytoin, propranolol and theophylline in healthy volunteers and plasma concentrations of rifamipicin (rifampin) in patients with pulmonary tuberculosis. Eleutheroccus senticosus (Siberian ginseng) increased the serum concentration of digoxin, but did not alter the pharmacokinetics of dextromethorphan and alprazolam in humans. Hypericum perforatum (hypericum; St John’s wort) decreased the blood concentrations of ciclosporin (cyclosporin), midazolam, tacrolimus, amitriptyline, digoxin, indinavir, warfarin, phenprocoumon and theophylline, but did not alter the pharmacokinetics of carbamazepine, pravastatin, mycophenolate mofetil and dextromethorphan. Cases have been reported where decreased ciclosporin concentrations led to organ rejection. Hypericum also caused breakthrough bleeding and unplanned pregnancies when used concomitantly with oral contraceptives. It also caused serotonin syndrome when used in combination with selective serotonin reuptake inhibitors (e.g. sertraline and paroxetine). In conclusion, interactions between herbal medicines and prescribed drugs can occur and may lead to serious clinical consequences. There are other theoretical interactions indicated by preclinical data. Both pharmacokinetic and/or pharmacodynamic mechanisms have been considered to play a role in these interactions, although the underlying mechanisms for the altered drug effects and/or concentrations by concomitant herbal medicines are yet to be determined. The clinical importance of herb-drug interactions depends on many factors associated with the particular herb, drug and patient. Herbs should be appropriately labeled to alert consumers to potential interactions when concomitantly used with drugs, and to recommend a consultation with their general practitioners and other medical carers. The authors appreciate the support by the National University of Singapore Academic Research Funds. The authors have provided no information on conflicts of interest directly relevant to the content of this review.